What is the correct EPA DHA ratio for ADHD? Is Omega-3 helping with ADHD symptoms? How much EPA and DHA you actually need to consume to combat ADHD? ADHD (Attention deficit hyperactivity disorder) is characterized by low level of attention to details, excessive activity, or difficulty controlling behavior. Being one of the most commonly diagnosed mental disorder in children, ADHD brings lots of challenges to the lives of parents, whose kids have been diagnosed with it. Apart from seeking professional medical help, many parents have already discovered that certain nutritional supplements and herbal remedies can relieve ADHD symptoms. One of the most potent supplements for the ADHD disorder is Omega-3 fatty acid. Kids that consume Omega-3, show positive developments with inattentiveness and hyperactivity. Their ability to think clearly increases and overall behavior improves. Why is Omega-3 especially helpful for people with ADHD? Well, simply put, people with ADHD have less omega-3 in their bodies than people without ADHD. More precisely, the study shows, that children with ADHD have lower levels of DHA (docosahexaenoic acid) and EPA (eicosapentaenoic acid). Basically, there are three types of Omega-3 fats – DHA, EPA, and ALA.
Docosahexaenoic acid (DHA), that is a primary structural component of the human brain is found in cold water fish, such as salmon, tuna, mackerel and rainbow trout. Eicosapentaenoic acid (EPA) is known for its numerous antiatherosclerotic effects and is also found in fish. Alpha-linolenic acid (ALA), that is preventing and treating diseases of the heart and blood vessels, can be found seed oils like flaxseed. Our bodies are able to convert ALA to DHA and EPA, though at a very low level: often less than 1% of ALA is converted to EPA and DHA. How much EPA and DHA you need to take for ADHD? Since Omega-3 has so many benefits when you or your kid have ADHD, and because it is quite hard to get enough from your diet alone, taking Omega-3 supplements can be a real game changer. There is no unified and scientifically approved dosage of Omega-3 for ADHD. It is known, that children receiving less than 500 mg of Omega 3, did not show any improvements in ADHD symptoms. Therefore, you should aim to give your child at least 500 mg of Omega 3 per day, but no more than 3000 mg per day. But which supplements to choose? Are there any peculiarities when selecting Omega-3 supplements specifically for the ADHD treatment? Yes, there are. And they are related to the correct ratio EPA DHA ratio for ADHD in the Omega-3 supplement. So, should you take more EPA or DHA for ADHD? It is well known, that only quantity of Omega-3 is important, but also the ratio of EPA and DHA it contains. A 1-to-2 ratio is ideal: either 1 parts EPA to 2 parts DHA or vice-versa. However, for the specific needs of those suffering from ADHD, this rule should be modified. 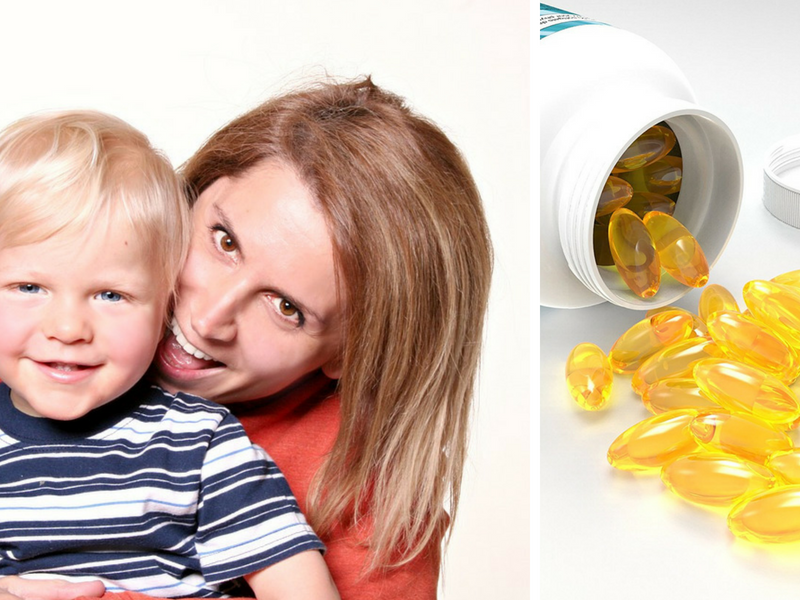 Several scientific studies showed, that larger doses of EPA showed a greater reduction in ADHD symptoms than larger doses of DHA . Another test involving 699 has shown, that „Omega-3 fatty acid supplementation demonstrated a small, but significant effect in improving ADHD symptoms. Eicosapentaenoic acid (EPA) dose within supplements was significantly correlated with supplement efficacy.” . Therefore, specifically for ADHD treatment, always choose Omega-3 supplements with a higher ratio of EPA, namely 2 parts of EPA and 1 part of DHA. The ratio of EPA can be even higher, the higher – the better! This Omega-3 supplement has by far the best ratio of EPA to DHA on the market. OmegaBrite Omega-3 has a specific 7:1 EPA to DHA ratio. A ratio like this is hard to find, and it is definitely a natural way to promote mental and cognitive clarity, emotional well-being, positive mood, and eventually to cope with ADHD symptoms. OmegaBrite lets its fish oil through advanced distillation and nitrogen blanketing for highest purity and protection from oxidation. QUALITY: 500 mg of Fish Oil per capsule, with 1,500 mg of EPA and 150 mg DHA. Each softgel contains 90% EPA and DHA – one of the highest concentration in the industry. Contains certified Kosher gelatin, certified Kosher glycerin, vitamin E as mixed tocopherols and proprietary rosemary extract. It comes in blister packs so that each capsule is kept fresh and not exposed to oxidation. The daily dose is 3 capsules. CONSUMER REVIEWS: 1) Incredibly effective at treating a child who has ADHD and depression. 2) Helps to reduce migraine severity. 3) Helps with depression. 4) Helps to struggle less with distractions. With this Fish Oil, you will get 2,200mg of Fish Oil/serving, 1400mg of eicosapentaenoic acid (EPA) and 480 mg of docosahexaenoic acid (DHA). This makes a good ratio of EPA to DHA – almost 3 to 1. One regular serving should consist of 2 pills per day. Why is the concentration so high? Unlike molecularly distilled fish oil, Viva Naturals uses a supercritical extraction method to concentrate the omega-3s in fish oil. This triples the amount per serving. Clean and purified fish oil produced from wild caught fish from the highly-regulated coastal waters of Peru. Great for cardiovascular support, cognitive health, and metabolism boost. QUALITY: 2,200 mg Fish Oil with 1,400 mg of EPA and 480 mg DHA. Each softgel contains 90% EPA and DHA – probably, one of the highest concentration in the industry. Heat-free, chemical-free supercritical CO2 (carbon dioxide) extraction. Has a no-mercury certification. Triglyceride form of omega-3. Contains gelatin, glycerin, and Vitamin E.
CONSUMER REVIEWS: 1) Calms down, gives the feeling of being focused. 2) Helped with thinning of the body’s blood. 3) Helped with increasing of DHL (good cholesterol) level. 4) Works as the natural anti-depressant. Bronson’s Omega-3 Fish Oil Triple Strength delivers 2720 mg per serving of fish oil, which is derived exclusively from anchovies, a small seawater fish. Each recommended daily dose provides 1,738 mg of total Omega-3 Fatty acids, including 1250 mg of EPA (eicosapentaenoic acid) and 488 mg of DHA (docosahexaenoic acid) per serving. Therefore, EPA to DHA ratio is 2,5 : 1, which is great for ADHD. QUALITY: 2,720 mg Fish Oil per serving (2 capsules) with 1,250 mg of EPA and 4888 mg DHA. Celiac safe. Non-GMO. Gluten-Free, Soy Free. CONSUMER REVIEWS: 1) Helps with dry eye syndrome. 2) Helps with mood swings. 3) Helped with increasing of DHL (good cholesterol) level. 4) Some consumer notice that capsules are quite big. Finally, if your kid has problems with swallowing pills or capsules, try out the liquid fish oil. Barlean’s liquid fish oil meets the daily norm of EPA/DHA providing 720mg of EPA/DHA per serving. It has Mango flavor, so kids will love it. Barlean’s Omega Swirl is emulsified, so you absorb 3X more Omega-3s per spoonful than with standard fish oil or softgels. Superior absorption also means most people experience no fish burps. It’s made with pharmaceutical grade ultra-purified natural triglyceride fish oil, so it’s free of mercury and other heavy metals. You can add it to yogurt, oatmeal, ice cream or smoothies. QUALITY: Take 2 tsp daily to get 720mg of EPA/DHA. Purified from heavy metals. Contains antioxidant blend (Vitamin E (as d-alpha tocopherol). Not suitable for pets. CONSUMER REVIEWS: 1) Tastes great without causing fishy burps, no fishy taste at all. 2) Helps with inflammatory symptoms of some diseases. 3) Best products suitable for kids, who usually do not like to swallow softgels. 4) Improves energy level and memory. Hawkey, E., & Nigg, J. T. (2014). Omega—3 fatty acid and ADHD: Blood level analysis and meta-analytic extension of supplementation trials. Clinical Psychology Review, 34(6), 496–505. Hibbeln, J. R., & Gow, R. V. (2014). Omega-3 Fatty Acid and Nutrient Deficits in Adverse Neurodevelopment and Childhood Behaviors. Child and Adolescent Psychiatric Clinics of North America, 23(3), 555–590. Next Post Evening Primrose Oil for Oily Skin: Stop That Shine!